The Honorable John Peter Shindel Gobin, circa 1895 (public domain). Descended from two American Patriots and a leading member of the Lutheran clergy , this son of the great Keystone State distinguished himself during a bloody, tide-turning, Civil War battle before becoming President Pro Tempore of the Pennsylvania Senate and Lieutenant Governor of the Commonwealth of Pennsylvania. His uncommonly long name trumpeted his distinctive heritage. He was The Honorable John Peter Shindel Gobin, the Captain of Company C, 47th Regiment, Pennsylvania Volunteer Infantry. Cited for valor during the Battle of Pocotaligo (1862) and the Union’s Red River Campaign (1864), he was later named Commanding Officer over the entire regiment of 47th Pennsylvania Volunteers, then also named Lieutenant Colonel two weeks after the Union Army’s victory under legendary Union General Philip H. Sheridan in the Battle of Cedar Creek, Virginia. Promoted again to the rank of Colonel, he was subsequently breveted as a Brigadier-General. Lieutenant Governor John Peter Shindel Gobin was the son of Samuel Shoemaker Gobin and Susanna M. (Shindel) Gobin. His mother, Susanna (1814-1878), was the daughter of the Rev. John Peter Shindel, Jr. (1788-1853), a Lebanon County, Pennsylvania native who, like his father before him, became a prominent Lutheran minister tending to loyal flocks at churches in Beaver Dam, Beavertown, Black Oak Ridge, Centreville, Decatur Township, Globe Mills, Hallow Run, Kratzerville, Laurelton, Little Mahanoy, Middleburg, and Troxelville. During his 36-year tenure, he traveled an estimated 49,116 miles in order to baptize 3,229 souls, marry 1,044 couples, deliver 2,650 sermons, and eulogize 636 of his congregants who had passed on from life to eternal rest. Samuel Gobin (1812-1893), the wagon-maker and wheelwright father of John Peter Shindel Gobin, was the son of Edward Gobin (1781-1851), a veteran of the War of 1812, and grandson of Berks County, Pennsylvania native, Captain Charles Gobin, a Patriot and leader of the 6th Company of the 6th Battalion, Berks County Militia. Serving under the command of Colonel Joseph Hiester during the American Revolution, Samuel Gobin fought in the Jersey Campaign before continuing to serve his nation by performing frontier duty in 1780. Born in Sunbury, Northumberland County, Pennsylvania on 26 January 1837, John Peter Shindel Gobin was the oldest of the four Gobin children. 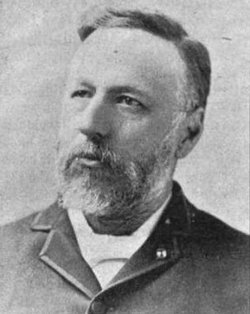 His siblings were: Anna Maria Gobin (1839-1919, later married to James Edward Shaw and a resident of Burlington, New Jersey); Edward Charles Gobin (1842-1899, later a judge in Rocky Ford, Colorado); and Susan Abigail Gobin (1846-1926, later married to Civil War veteran and attorney, Leffert Case, and a resident of Lebanon, Pennsylvania). After graduating from Sunbury’s public schools, J. P. S. Gobin advanced his studies in English, and apprenticed as a printer with the Sunbury American newspaper. Employed briefly as the publisher of the unsuccessful Philadelphia Star of Youth with the Junior Sons of America, he sought and secured more stable employment as a teacher with the Sunbury schools. While educating young minds, he then broadened his own by studying law with General John K. Clement and M. L. Shindel. In 1859, he became a practicing member of the bar. Over the next year, John Peter Shindel Gobin and his fellow Northumberland County residents regularly read of the worsening relations between America’s North and South in the Sunbury American and other local newspapers. On 20 December 1860, they learned that South Carolina had given the nation an early, ugly Christmas present as it became the first state to secede from the United States. 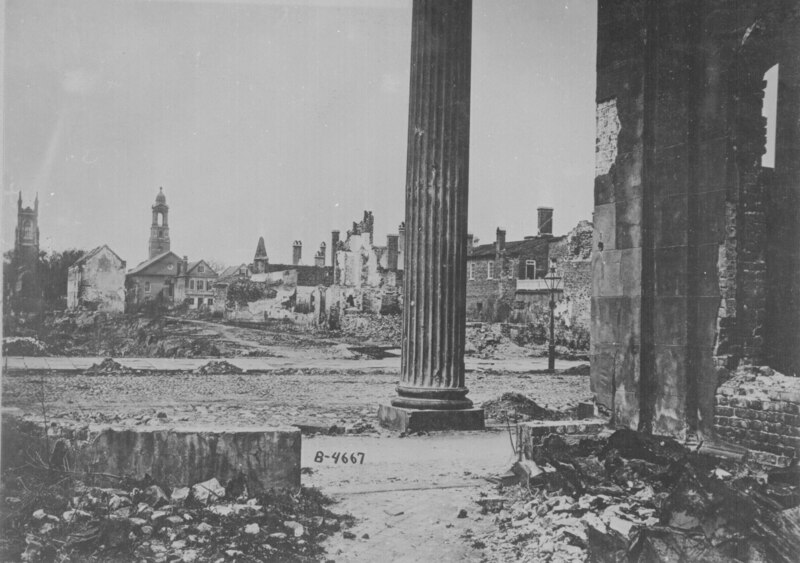 Like rapidly toppling dominos, Mississippi, Florida and Alabama followed on 9, 10 and 11 January 1861, as did Georgia on 19 January 1861, Louisiana on 26 January, and Texas on 1 February. 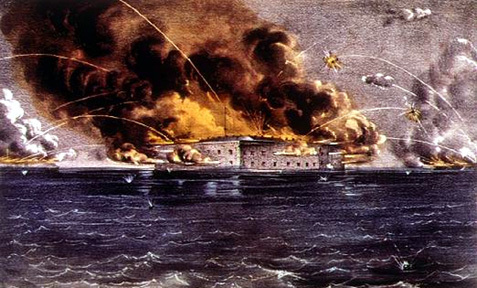 Barely two months later, they received word that President Abraham Lincoln had directed the federal government to respond decisively to the fall of Fort Sumter to Confederate States Army troops, via his 15 April 1861 call for 75,000 volunteers “to favor, facilitate, and aid this effort to maintain the honor, the integrity, and the existence of our National Union.” Three days later, John Peter Shindel Gobin traveled to Harrisburg to personally offer the services of the Sunbury Guards to Andrew Gregg Curtin, 15th Governor of the great Commonwealth of Pennsylvania, in order to help the Keystone State fulfill the President’s request. Curtin happily accepted Gobin’s offer, and Gobin returned home to Sunbury to finish his recruiting efforts. On Friday evening, 19 April 1861, he and his fellow Sunbury Guards then assembled in the grand jury room at the Sunbury Court House. That night, the Guards unanimously elected Charles J. Bruner as Captain, J. P. S. Gobin as First Lieutenant and Joseph H. McCarty as Second Lieutenant. On Saturday morning, 20 April 1861, Captain Bruner took 40 of his Sunbury Guards to the train depot and on to the state capital, making the Sunbury Guards the first military unit to leave Northumberland County to fight the growing southern rebellion. The next day, the remaining 38 Guardsmen worshipped at Sunbury’s Lutheran Church, and then boarded the train for Harrisburg on 22 April. All 78 Sunbury Guardsmen then mustered into service at Camp Curtin in Harrisburg on 23 April. Although officially designated as Company F in the 11th Regiment, Pennsylvania Volunteer Infantry, John Peter Shindel Gobin and his fellow Sunbury residents still employed their hometown Guards’ designation in conversation with one another. Captain John Peter Shindel Gobin, Co. C, 47th Pennsylvania Volunteers, c. 1862 (public domain). Gobin was just 24 years old when he mustered in and was commissioned as an officer. Military records described him as being 5 feet, 10-1/2 inches tall with light hair, gray eyes and a light complexion. Many of the early days for the Sunbury Guardsmen were mundane, but on 2 July 1861, they and their fellow 11th Pennsylvania Volunteers engaged in intense fighting during the Battle of Falling Waters, meeting the enemy head on at Hoke’s Run. One member of the 11th Pennsylvania was killed; nine were wounded. The 11th Pennsylvania Volunteers also saw action at Martinsburg and Bunker Hill. Heralded for their valor, the regiment was proudly labeled “the Bloody Eleventh” by Governor Curtin. They mustered out honorably at Camp Curtin, following completion of their Three Months’ Service. 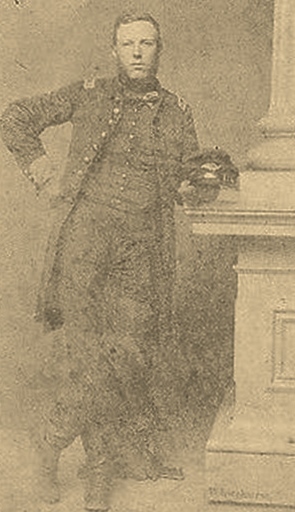 Several historians and newspaper accounts place the muster out date of John Peter Shindel Gobin as 31 July 1861, but his entry in the Civil War Veterans’ Card File at the Pennsylvania State Archives indicates that his muster out occurred on 1 August 1861. Knowing the fight was far from over, First Lieutenant John Peter Shindel Gobin joined many of his fellow Sunbury Guardsmen in signing up for an additional three-year term. Re-enrolling for duty at Sunbury on 19 August 1861, he elected to serve with an entirely new regiment which had recently been formed by Colonel Tilghman H. Good. Commissioned as an officer once again, Gobin was then promoted to the rank of Captain when he re-mustered at Camp Curtin on 2 September, and then placed in charge of his Sunbury Guardsmen. First State Color, 47th Pennsylvania Volunteers. We expect to leave tonight for Washington or Baltimore. Our company has been made the color company of the regiment, the letter being accorded to rotation used, C. It is the same as E in the 11th. Wm. M. Hendricks has been appointed Sergeant Major, so that Sunbury is pretty well represented in the regiment, having the Quartermaster, Sergeant Major and Color Company…. Boulton is lying by me as I write, just about going to sleep. On 24 September, J. P. S. Gobin and the 47th Pennsylvania Volunteers were formally mustered into the U.S. Army. Armed with Mississippi rifles supplied by their beloved Keystone State and assigned to the 3rd Brigade of W. F. Smith’s Army of the Potomac on 27 September, they were ordered to Camp Lyon, Maryland on the eastern side of the Potomac River. Arriving late that afternoon, they joined the 46th Pennsylvania in charging double-quick across a chain bridge before marching on toward Falls Church, Virginia. Arriving at Camp Advance around dusk, they pitched their tents in a deep ravine near Fort Ethan Allen, a new federal military facility still under construction. Here, as part of the 3rd Brigade and General Smith’s Army of the Potomac, the 47th Pennsylvania helped to defend the nation’s capital. On 17 October 1861, death took the first member of the entire 47th Pennsylvania Regiment – a young drummer boy – John Boulton Young. “Boltie” had become a favorite not just among the men of his own Company C, but of the entire regiment. Suffering from Variola (smallpox), he was first treated in camp, but then shipped back to Georgetown to the Kalorama eruptive fever hospital when it became clear he needed intensive care. … immediately started for Georgetown, hoping the tidings would prove untrue. Alas! when I reached there I found that little form that I had so loved, prepared for the grave. Until a short time before he died the symptoms were very favorable, and every hope was entertained of his recovery… He was the life and light of our company, and his death has caused a blight and sadness to prevail, that only rude wheels of time can efface… Every attention was paid to him by the doctors and nurses, all being anxious to show their devotion to one so young. I have had him buried, and ordered a stone for his grave, and ere six months pass a handsome monument, the gift of Company C, will mark the spot where rests the idol of their hearts. I would have sent the body home but the nature of his disease prevented it. When we return, however, if we are so fortunate, the body will accompany us… Everything connected with Boulty shall by attended to, no matter what the cost is. His effects that can be safely sent home, together with his pay, will be forwarded to you. The doctor… told me it was the worst case he ever saw. It was the regular black, confluent small pox… I had him vaccinated at Harrisburg, but it would not take, and he must have got the disease from some of the old Rebel camps we visited, as their army is full of it. There is only one more case in our regiment, and he is off in the same hospital. The government has supplied them with one blanket apiece, which, as the cold weather approaches, is not sufficient…. Some of my men have none, two of them, Theodore Kiehl and Robert McNeal, having given theirs to our lamented drummer boy when he was taken sick… Each can give at least one blanket, (no matter what color, although we would prefer dark,) and never miss it, while it would add to the comfort of the soldiers tenfold. Very frequently while on picket duty their overcoats and blankets are both saturated by the rain. They must then wait until they can dry them by the fire before they can take their rest. Half of the 47th Pennsylvania Volunteers were next ordered to join parts of the 33rd Maine and 46th New York in extending the reach of their division’s picket lines, which they did to “a half mile beyond Lewinsville,” according to Gobin. And on 21 November, the 47th participated in a morning divisional headquarters review by Colonel Tilghman H. Good, followed by brigade and division drills all afternoon. According to Schmidt, “After the reviews and inspections, Gen. Smith requested Gen. Brannan to inform Col. Good that the 47th was the best regiment in the whole division.” As a reward, Brannan obtained new Springfield rifles for every member of the 47th Pennsylvania Volunteers. Gobin also helped Sunbury Guardsmen to send $900 from their collective pay back home to their families around this time. Reloading then resumed. By that afternoon, when the 47th Pennsylvania Volunteers commenced boarding the Oriental, they were ferried to the big steamship by smaller steamers. The officers boarded last and, per the directive of Brigadier-General John M. Brannan, the Oriental steamed away for the Deep South at 4 p.m. They were headed for Florida which, despite its secession from the Union, remained strategically important to the Union due to the presence of Forts Taylor and Jefferson in Key West and the Dry Tortugas. In early February 1862, Gobin and the 47th Pennsylvanians arrived at Fort Taylor in Key West. They made their presence known to residents early on with a parade through the city’s streets on 14 February. That same weekend, men from the regiment also mingled with residents as they attended local church services. On garrison duty, they drilled daily in military strategy, including heavy artillery tactics. Their time was made more difficult by the presence of yellow jack and other tropical diseases, as well as the always likely dysentery from soldiers living in close, unsanitary conditions. 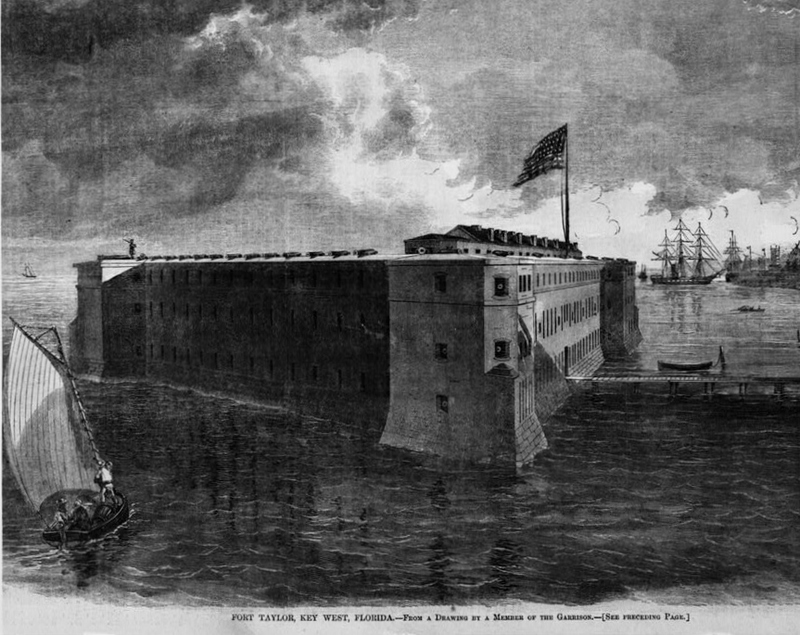 Union Navy base of operations, Mayport Mills, c. 1862 (Frank Leslie’s Illustrated Newspaper, public domain). On 30 September 1862, the 47th Pennsylvania Volunteers were sent back to Florida where they engaged with other Union forces in the capture of Saint John’s Bluff from 1 to 3 October. Under the command of Brigadier-General Brannan, the 1,500-plus Union force disembarked from gunboat-escorted troop ships at Mayport Mills and Mount Pleasant Creek. With the 47th Pennsylvania on point and braving alligators, snakes and Rebel troops, the men pushed through 25 dense miles of forests and swampland in order to capture the bluff and pave the way for the Union’s occupation of Jacksonville, Florida. From 21-23 October, Company C and the 47th took on Confederate forces in the Battle of Pocotaligo, South Carolina. Landing at Mackay’s Point under the brigade command of 47th Pennsylvania founder, Colonel Tilghman H. Good, and regimental command of Lieutenant Colonel George W. Alexander, the 47th led the way once again. This time, however, the 47th’s luck ran out. Harassed by snipers, they met resistance from an entrenched Confederate battery, and endured withering fire as they entered a cotton field. Those headed for the higher ground of Frampton Plantation were pounded by artillery and infantry from the surrounding forests. 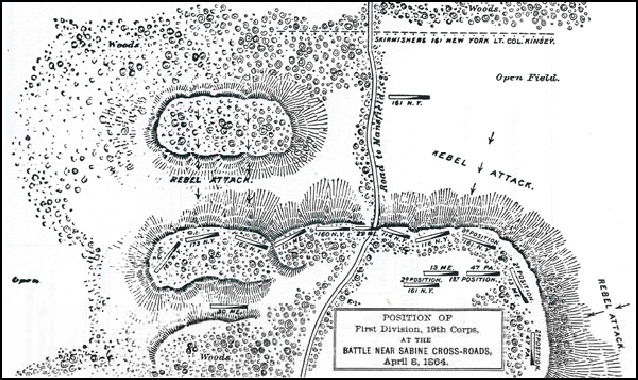 Undaunted, the Union Army charged, forcing the Rebels into a four-mile retreat to the Pocotaligo Bridge. At this juncture, the 47th relieved the 7th Connecticut but, after volleying fire for two hours while attempting to take the ravine and bridge, ammunition ran low, forcing the 47th to withdraw to Mackay’s Point. By 1863, Captain J. P. S. Gobin and the men of C Company were once again based with the 47th Pennsylvania in Florida. 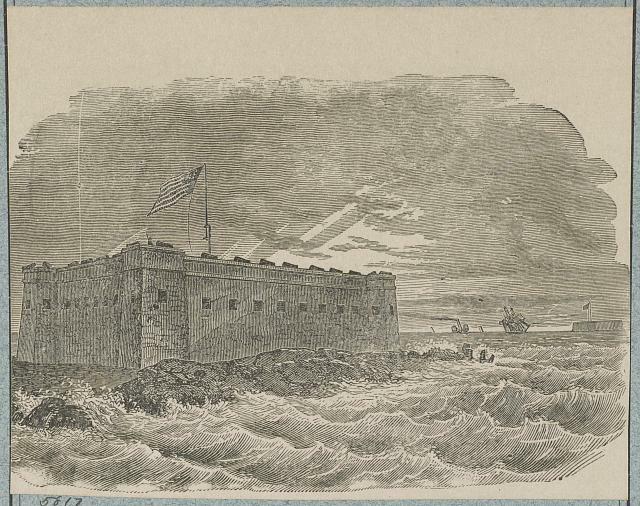 Having been ordered back to Key West 15 November, they spent 1863 at Fort Taylor with Companies A, B, E and I while Companies D, F, H, and K were sent to garrison Fort Jefferson in the Dry Tortugas. It was a noteworthy year both for the number of men lost to disease – and because most of the soldiers from the 47th Pennsylvania chose to re-enlist when their original three-year terms of service expired. Many who could have returned home, their heads legitimately held high after all they had already endured, opted to finish the fight. 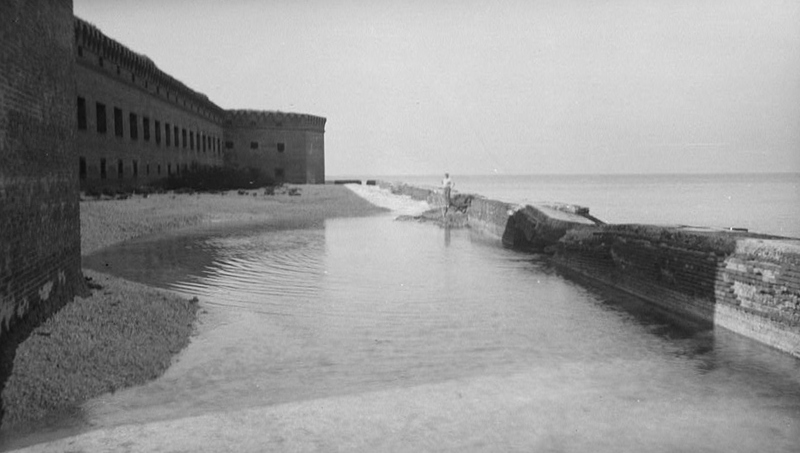 In 1863, Gobin’s tour of duty took him briefly to Fort Jefferson, a fort located so far off the coast of Florida that it was accessible only by boat. Men sailing there saw only water for miles until suddenly encountering the formidable Union outpost. Later that year, Gobin recharged his mental and physical batteries while on approved furlough. But it was the year of 1864 which would bring the greatest changes to Gobin’s life as he and his fellow 47th Pennsylvania Volunteers began a phase of service during which their regiment would make history. Boarding the steamer Charles Thomas on 25 February 1864, they traveled to Algiers, Louisiana (now part of New Orleans). Arriving on 28 February, they then moved by rail to Brashear City before crossing the Bayou Teche via steamer to Franklin, where they joined the 2nd Brigade, 1st Division of the Department of the Gulf’s 19th Army Corps. At this moment in time, the 47th Pennsylvania Volunteers became the only Pennsylvania regiment to serve in the Red River Campaign of Union Major-General Nathaniel P. Banks. A significant number of the 47th were killed or wounded during these two days. Others were captured by Rebel forces, and held as prisoners of war (POWs) at Confederate Army prison camps until being released in a large prisoner exchange on 22 July 1864, and during subsequent exchanges in August and November of that same year. At least one of the 47th died in captivity. Still others were claimed by disease. At the battle of Pleasant Hill, Captain Gobin was especially commended for bravery by General J.W. McMillan, who recommended him to Governor Curtin for promotion. For services rendered in that campaign he was detailed by General Banks to conduct all the prisoners captured on the Expedition to New Orleans. 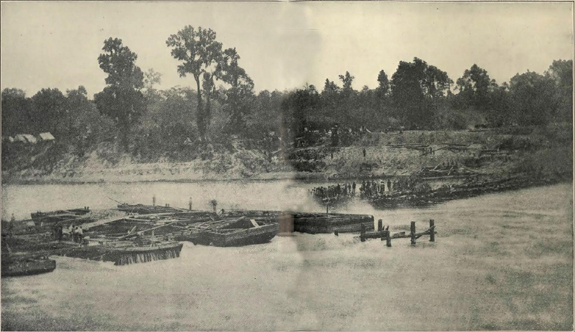 Christened “Bailey’s Dam” for Lt. Col. Joseph Bailey, the officer overseeing its construction, this timber dam built by the Union Army on the Red River in Alexandria, Louisiana in May 1864 facilitated Union gunboats passage (public domain). Before that happened, however, Gobin and the 47th joined other Union troops in retreating to Grand Ecore, where they remained until April 22 when they began their march back toward Alexandria. En route, they re-engaged with Taylor’s Confederate troops in the Battle of Cane River near Monett’s Ferry on 23 April. From 30 April to 10 May, they also helped build a timber dam across the Red River to enable Union gunboats to travel more easily to and from the mighty Mississippi River. Trekking onward to Morganza beginning May 13, they faced off against more Confederate troops in Avoyelles Parish near Marksville during the Battle of Mansura on 16 May. Given a brief respite via their encampment near Morganza, they then resumed their long march, finally reaching the safety of New Orleans, which was held securely by the combined forces of the Union’s army and navy. But their respite proved to be a short one. On the Fourth of July, Gobin and his fellow 47th Pennsylvanians learned that they would be shipped back to one of the Union’s main theatres of combat. Three days later, Companies A, C, D, E, F, H, and I steamed for Washington, D.C. via the McClellan; a second, smaller detachment of men from Companies B, G and K then followed later via the Blackstone. The timing of this journey also proved to be fortuitous, placing Gobin and the men from Companies A, C, D, E, F, H, and I in position on 12 July 1864 to have a memorable encounter with President Abraham Lincoln. Subsequently attached to Major-General David Hunter’s forces, they next fought at Snicker’s Gap, Virginia in mid-July before assisting, once again, in defending the nation’s capital while also helping to drive Confederate forces from Maryland. On 24 July 1864, Captain J. P. S. Gobin was promoted from his leadership of Company C to the rank of Major and service with the central regimental command of the 47th Pennsylvania. On 1 September 1864, Second Lieutenant Daniel Oyster was promoted to the rank of Captain of the Sunbury Guards. Company C’s William Hendricks was promoted from Second to First Lieutenant, Sergeant Christian S. Beard was promoted to Second Lieutenant, Sergeant William Fry was promoted to the rank of First Sergeant, and Corporal John Bartlow was promoted to the rank of Sergeant. Private Timothy M. Snyder of Company C was also promoted to the rank of Corporal that same day. His oldest surviving son would later go on to co-found a local telephone company in Schuylkill County, Pennsylvania. On 5 September 1864, Captain Daniel Oyster and Private David Sloan were wounded at Berryville, Virginia. Inflicting heavy casualties during the Battle of Opequan (“Third Winchester”) on 19 September 1864, Sheridan’s gallant blue jackets forced a stunning retreat of Jubal Early’s grays – first to Fisher’s Hill (21-22 September). 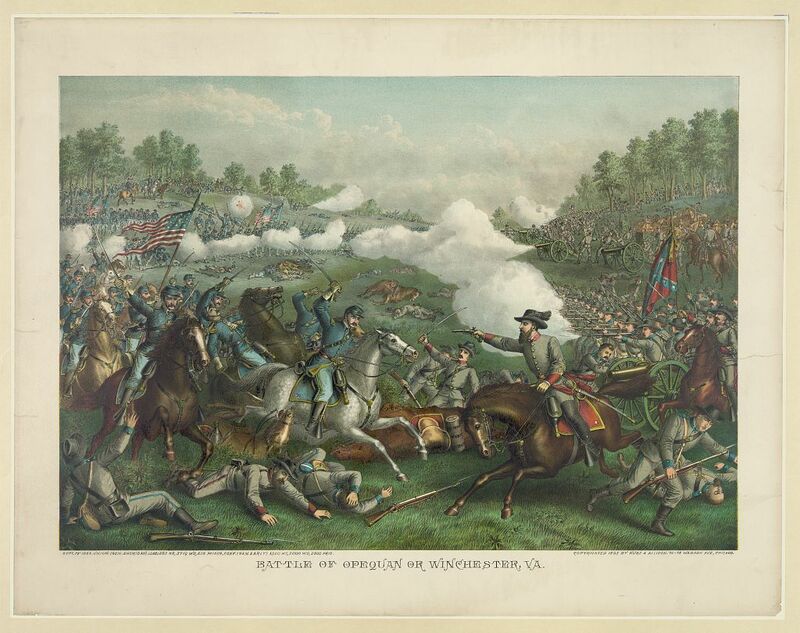 Then, following a successful early morning flanking attack, they pushed the Rebels back to Waynesboro. These impressive Union victories helped Abraham Lincoln secure his second term as President. On 23-24 September, the 47th Pennsylvania’s top two leaders, Colonel Tilghman H. Good and Lieutenant Colonel George W. Alexander, mustered out upon expiration of their respective terms of service. particularly distinguished himself at Cedar Creek, where his command was right of Sheridan’s line. When a portion of the line gave way from the severe pressure of the enemy’s front, which overlapped the Union force, Gen. Gobin held fast, and thus gave the enemy its first repulse, which proved the turning point in the tide of battle. Weakened by hunger wrought by the Union’s earlier destruction of crops, Early’s army gradually peeled off, one by one, to forage for food while Sheridan’s forces fought on, and won the day. But it was another extremely costly engagement for the Keystone State. 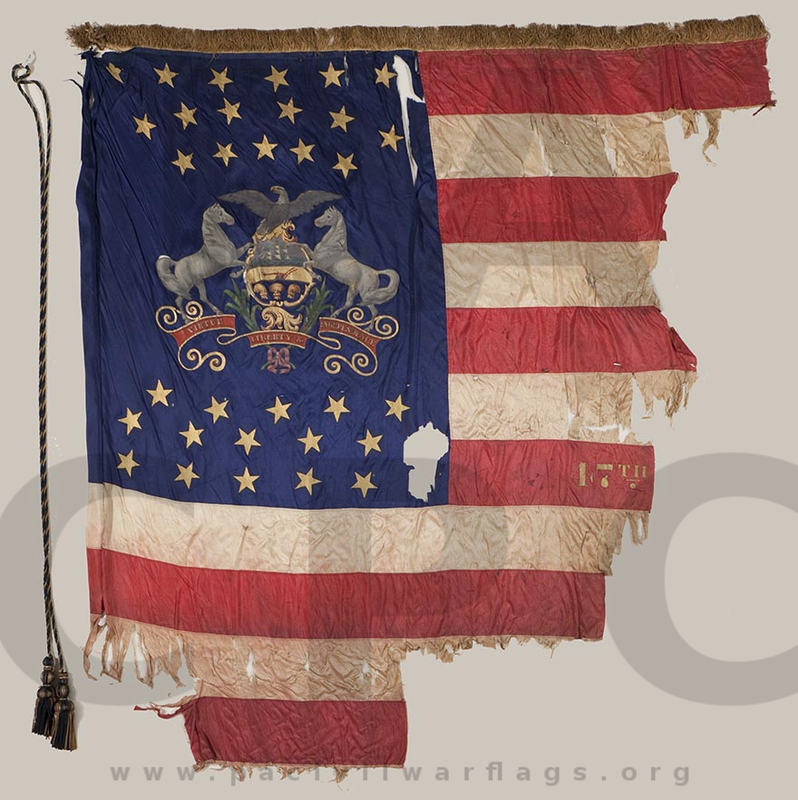 The 47th Pennsylvania suffered 176 casualties during the Cedar Creek encounter alone, including Sergeant William Pyers – the very same gallant Sunbury Guardsman wounded while protecting the colors at Pleasant Hill just six months earlier. C Company Captain Daniel Oyster was also wounded in action at Cedar Creek. Others were taken as prisoners of war (POWs), and held at Confederate prison camps. Some were released; several died in captivity. One, Sergeant William Fry, was spirited away to the notorious Confederate camp at Andersonville. He managed to survive only to die shortly after arriving home in Sunbury, his untimely end a direct result of the inhumane treatment he received as a POW. After the smoke cleared at Cedar Creek, according to Hamersly, “Major-General McMillan, commanding the First Division of that Corps [Sheridan’s Army at Cedar Creek], wrote Governor Curtin, commending” Gobin’s conduct. Gobin was then honored with a promotion to the rank of Lieutenant Colonel on 4 November 1864. Stationed at Camp Russell near Winchester from November through most of December, the 47th Pennsylvania Volunteers were ordered to march again – through a snowstorm five days before Christmas – for outpost duty at Camp Fairview in Charlestown, West Virginia. On 3 January 1865, Lieutenant Colonel John Peter Shindel Gobin was recognized once again, this time promoted to the rank of Colonel. 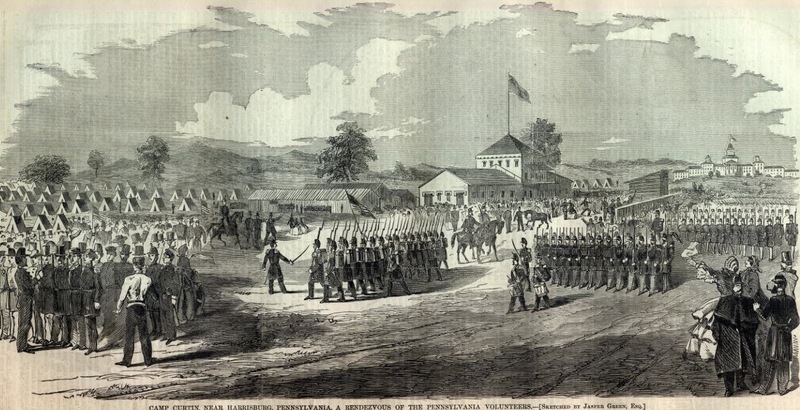 He and his 47th Pennsylvania Volunteers were then assigned to the Provisional Division of the 2nd Brigade of the Army of the Shenandoah in February. 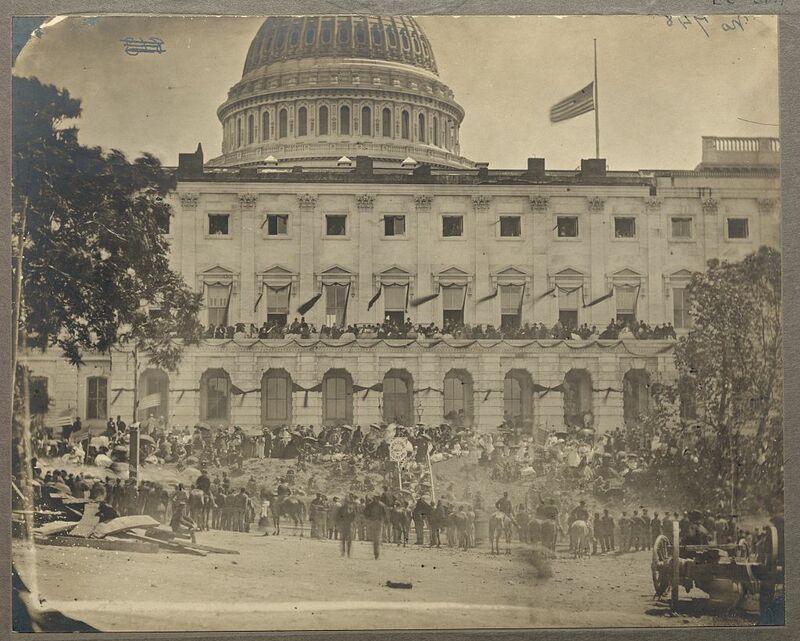 Matthew Brady’s photograph of spectators massing for the Grand Review of the Armies, 23-24 May 1865, at the side of the crepe-draped U.S. Capitol, flag at half mast following the assassination of President Abraham Lincoln (Library of Congress, public domain). Sunbury Guardsman Samuel H. Pyers was one of those given the high honor of protecting the late President’s funeral train, assigned to guard duty from Washington, D.C. to the Baltimore and Ohio Railroad’s Relay House in Maryland. Letters home from several other members of the 47th confirm that at least part of the regiment was also assigned guard duty at the prison where the Lincoln assassination conspirators were held, tried and executed. While serving in Dwight’s Division, 2nd Brigade, U.S. Department of Washington’s 22nd Corps, Colonel John Peter Shindel Gobin and his 47th Pennsylvania Volunteers also participated in the Union’s Grand Review on 23-24 May. Colonel J. P. S. Gobin also functioned as the commander of the First Sub-District at Charleston, as well as the Commanding Officer of his own regiment. He served in this capacity until January 1866 when he and his 47th Pennsylvania Volunteers were finally mustered out of service. Shipped north via a stormy sea voyage, followed by a train trip to Philadelphia, Gobin finally, officially received his Honorable Discharge papers at Camp Cadwalader on 9 January 1866. After mustering out, Lieutenant Colonel John Peter Shindel Gobin returned home to Lebanon, Pennsylvania, where he resumed his successful practice of law. In 1866, he wed Key West, Florida native Anna M. Howe, the daughter of U.S. Army Captain Charles Howe and Abigail (Fletcher) Howe. Susanna was also the granddaughter of American Patriot, John Peter Shindel, Sr. (1766-1829), a fifer with the 2nd Company of the Lancaster County Militia’s 2nd Battalion during the American Revolution who later served as Justice of the Peace and Chief Burgess for the city of Lebanon prior to his 1814 election to the Pennsylvania Senate. John Peter Shindel Gobin, former commanding officer of the 47th Pennsylvania Volunteers, c. 1880 (public domain). 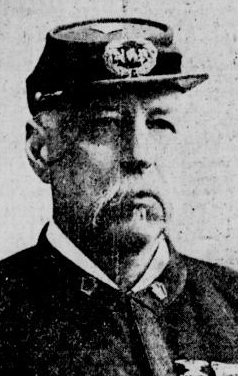 While the 47th was lying at Key West, Major Gausler was Provost Marshal of the city and Commandant of Fort Taylor. This fort was garrisoned by the soldiers of the 47th Regiment. As Provost Marshal Major Gausler had much business with Captain Howe, of Massachusetts, whom President Lincoln had sent there as the Custom House officer. When Captain Howe invited Major Gausler to a family dinner one Sunday, the Major asked if he might bring Gobin along, then a dashing young Captain…. When they arrived at the house, Major Gausler, who knew the Howe family well, introduced Captain Gobin to all the members, including Miss Anna Howe, who later became Mrs. Gobin and is now his widow. John and Annie were married at the Brooklyn, New York home of Annie’s brother, Edward Howe. Three years later, in 1869, John Peter Shindel Gobin declined an offer from President Ulysses S. Grant to serve as the appointed U.S. District Judge for Florida’s southern district. Instead, Gobin chose to recruit a new generation of soldiers. In 1871, those men became Lebanon’s Coleman Guards. Commissioned as Colonel of the Eighth Regiment, Pennsylvania National Guard in 1874, Gobin then led Pennsylvania’s Third Brigade as Brigadier-General beginning in 1885, a position he held until receiving an appointment from Pennsylvania Governor Samuel W. Pennypacker in 1906 to serve as Major-General of Penn’s Division. In 1880, he was named Grand Captain-General of the Grand Encampment of the United States. In 1883, he was appointed as Generalissimo of the organization. At other times, he served as that organization’s Deputy Grand Commander and Grand Master of the United States. Portrait, Pennsylvania Senate (public domain). A Republican, John Peter Shindel Gobin was elected to his first term in the Pennsylvania Legislature in 1885, where he represented District 17. After assisting with the organization of the Grand Army of the Republic, he was then subsequently elected, as a sitting member of the Pennsylvania Senate, as G.A.R. 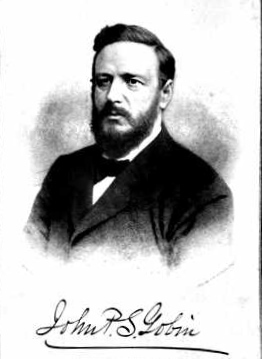 Department Commander in 1886. In 1887, he advocated for increased inheritance and business taxes, a move which did not endear him to those in positions of power statewide; the negative fallout, though, was mitigated by the support he received that same year for his work on public school legislation and a Civil Rights Act resolution. …. After the band had played a medley of patriotic airs, the Arion Singing Society, Professor J. C. Frank, leader, sang the ‘Star Spangled Banner,’ and the Rev. Dr. John R. Paxton, of New York, offered an eloquent prayer. Again the Arion Society sang, this time ‘Praise the Lord,’ and the formal transfer of the monuments to the Governor was made on behalf of the Commission by General Gobin. The popular General wore the Grand Army coat, and over his heart was one of the silver medals struck to commemorate the occasion, and worn by all the other commissioners. General Gobin’s oration was frequently applauded, and his declaration that there ought to be a statue of Meade on the field met with a hearty response by the veterans…. …. The commission have [sic] discharged their work with rare intelligence and unquestioned ability. Charged with the execution of a law, with the expenditure of over an eighth of a million dollars, with the preservation of the truth of history, with determining conflicting claims for position, it will be seen that the work of the commission required rare discretion and ability. Success has crowned its work…. In 1891, The Honorable John Peter Shindel Gobin was appointed President Pro Tempore of the Pennsylvania Senate, and successfully co-sponsored the Baker Ballot Bill which, when passed, clarified the provisions for voting with different tickets, how ballot boxes would be utilized for judiciary, county and state offices, and how groups of candidates would be recognized in election laws. That same year, he also opposed a voting amendment referendum, and stoked controversy for defending Matt Quay during the Senate’s investigation of a former Philadelphia city and county treasurer for embezzlement. In 1893, he advocated for passage of the Workhouse Law; in 1895, he worked for passage of the Wrongful Injury Bill and repeal of the federal force Bill enacted in 1871. Earlier in his tenure, he opposed the Billingsly Free Pipeline Bill. During the Summer of 1897, while serving his seventh and final term as a state senator, he was elected as Commander-in-Chief of the Grand Army of the Republic. Brevet Brigadier-General John Peter Shindel Gobin shown here in 1897 as Commander-in-Chief of the Grand Army of the Republic. I arrived at Hazelton, adjacent to the scene of the trouble, at 7:30 a.m. of the 11th, the day following the conflict….This portion of Luzerne County … has been for years the scene of violence and disorder. Much of the work being done is stripping and removing the coal from the outcrop or washing the culm banks. This has brought into the district a large proportion of unskilled labor…. Nearly all carry some kind of weapon, and fights are frequent and fatal between them. In the last six years over 250 murders were committed. In the latter part of August or the beginning of September the employees at [redacted name] colliery quit work, owing to some difficulty with the superintendent. Other workings followed in sympathy, but there was no general strike…. As it continued, however, agitators appeared, marching parties began to assemble and move upon collieries and workings, and drive the workmen from their places. The officials of these operations called upon the sheriff of Luzerne County to protect their properties from these trespassers and their men from this interference. The sheriff, whose office is at Wilkesbarre [sic], 50 miles away, proceeded to Hazelton, summoned and swore in a large number of deputies, who established headquarters at that town, and were organized into three companies. Each man armed himself with such weapons as were obtainable, some of them with repeating Winchester rifles. At different times, previous to the 10th of September, marching parties, intent upon visiting certain operations, had been turned aside by the mayor of Hazelton, or the sheriff…. During it all a number of collieries continued working…. Among these was the large operation at Lattimer. On the morning of the 10th the body of men, variously estimated at 300 to 600, started from Harwood with the avowed purpose of visiting Lattimer and compelling the men there to leave their work. They were met at Hazelton en route by the sheriff, who commanded them to disperse, and read, or attempted to read to them, the riot act; they refused to listen and passed on. On the move they compelled whom they met to join their force, taking one lad of not over 17 from a wagon he was driving and placed him in the ranks. This boy subsequently lost a leg…. The sheriff hastily proceeded to Hazelton, summoned his deputies, and took the street cars to reach a point to head off the marchers…. The marchers soon made their appearance…. As they came near the sheriff stepped out in the road in front of them with a paper in one hand and a drawn revolver in the other and commanded them to halt. Several of the marchers surrounded him … and a struggle, apparently for the revolver, ensued. While this struggle continued the greater portion of the column pushed on…. The head of the column had almost reached the left of the line when a single shot was fired…. It was the signal, however, for a general fusillade from the center and left of the line of deputies…. The results of this fire at such close quarters, with the crowded condition of the marchers, was such that almost every shot took effect, and the heavy list of casualties naturally followed. A stampede in every direction immediately took place, and the affair was ended. I do not believe it lasted beyond thirty seconds. …. Great Gathering at the Funeral of the Latimer Victims, but No Disturbance…. At this writing troops are marching…. Telegrams to brigade headquarters late this evening indicated an alarming condition there…. Two hundred miners at Buck Mountain, which is about thirteen miles from Eckley, went on strike this morning and started toward the Eckley mine. The superintendent of the Eckley colliery telegraphed General Gobin for troops, but later in the day the request was withdrawn, the superintendent notifying the general that the striking miners had stopped marching. At 4 o’clock this afternoon General Gobin received a dispatch stating that these miners had again assembled, had marched on the Eckley mines and had forced the miners to quit work. It was stated in this dispatch that the miners had been roughly handled. General Gobin has ordered the city troops of Philadelphia to go to the scene of the disturbance…. The troopers will ride across the mountains, a distance of eighteen miles, to Eckley. Eckley is a small mining village and lies in a valley. There are a number of collieries there, and fears have been entertained for the past forty-eight hours that trouble would break out, as the men had been acting very ugly. The situation tonight in the Hazleton district is one of unrest…. Requests have been pouring in to General Gobin from the various mines asking that he send troops to the places in order to prevent any possible outbreak. The general states that he will not send troops to any point unless an outbreak does occur…. Two mine superintendents have asked General Gobin to place guards around their houses. This will be done…. Today has been regarded as the turning point of the situation because of the prohibition issued by General Gobin against the proposed funeral demonstration…. In the meantime the Coxe collieries were being watched with intense anxiety. It was known that the 2000 men employed at No. 7 had made a demand for a ten per cent increase, which was to be submitted to the operators today, with the alternative of ‘strike.’ From 5000 to 7000 men are employed at all the collieries, and it was understood that such a movement would bring them all out…. In 1898, Senator John Peter Shindel Gobin re-entered federal military service. Appointed to the United States Army Volunteers by President William McKinley on 19 June 1898, he was commissioned as a Brigadier-General, and served with the 3rd Brigade, 1st Division during the Spanish-American War. He was also later stationed with the 1st Division, 2nd Corps at Camp Mackenzie in Georgia and at Camp Meade in Middletown, Pennsylvania. Later that same year, his resigned his military commission and seat with the Pennsylvania Senate to run for higher office. Elected on the same ticket as Governor William Alexis Stone, The Honorable John Peter Shindel Gobin became the first President Pro Tempore in the history of the Pennsylvania Senate to serve as Lieutenant Governor, and performed in this capacity from 1899 to 1903. During this time, he and his wife, Annie, continued to reside at their Cumberland Street home in Lebanon, Pennsylvania. The 1900 federal census confirms that they never had any children of their own, but that Annie’s 40-year-old, unmarried niece, Margaret Howe, was residing with them in 1900. Active in civic and social circles, The Honorable John Peter Shindel Gobin served in leadership roles with numerous commissions and community organizations. 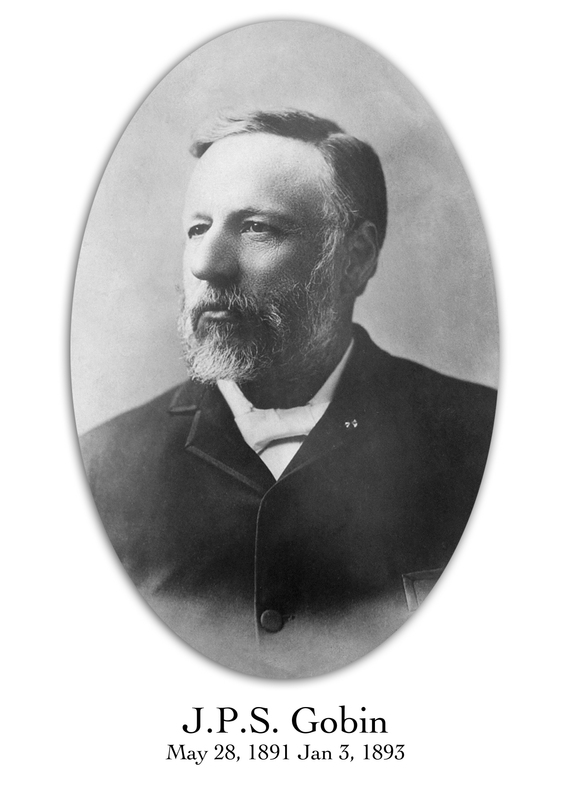 From 1889-1892, he was Grand Master of the Knights Templar of North America. Grand Patriarch with the International Order of Odd Fellows, he was also Vice President and Commissioner for the network of Soldiers’ Orphans Schools established by former Pennsylvania Governor Andrew Gregg Curtin, a Trustee for the Soldiers’ and Sailors’ Home in Erie County, a solicitor and member of the boards of directors for the First National Bank of Lebanon and the Cornwall & Lebanon Railway Company, and member of the Loyal Legion and Sons of the Revolution. On 1 May 1910, The Honorable John Peter Shindel Gobin died in Lebanon, Pennsylvania. “Death came at 1 o’clock Sunday afternoon,” read the news account the following day in the Reading Eagle. He had lingered after having been struck down by paralysis on 25 February. “His entire left side was affected, and from the first his condition was regarded as hopeless by the attending physicians.” He had rallied periodically during his convalescence only to relapse. A final “sinking spell” caused him to lapse into unconsciousness the night before his passing. Holding vigil at his bedside were his wife, Annie; sisters, Anna Maria (Gobin) Shaw and Susan Abigail (Gobin) Case; his nephew, William Gobin of Colorado; and his wife’s niece, Mrs. Margaret Allen of Connecticut. He was interred in Section P, Lot 14 of the Mount Lebanon Cemetery in Lebanon, Pennsylvania on 6 May 1910. D.A. Frantz of Lebanon handled his funeral arrangements. 1. Bates, Samuel P. History of Pennsylvania Volunteers, 1861-5, Vol 1. Harrisburg, Pennsylvania: B. Singerly, State Printer, 1869. 2. Bell, Herbert C. History of Northumberland County, Pennsylvania. Chicago, Illinois: Brown, Runk, & Co. Publishers: 1891. 3. Civil War Veterans’ Card File, 1861-1866. Harrisburg, Pennsylvania: Pennsylvania State Archives. 4. Congressional Series of United States Public Documents, Vol. 3743. Washington, D.C.: U.S. Government Printing Office, 1901. 5. Death Certificate (J. P. S. Gobin, File No. 48584, Registered No. 288). Harrisburg, Pennsylvania: Commonwealth of Pennsylvania, Department of Vital Statistics. 6. Hamersly, Lewis R. Biographical Sketches of Distinguished Officers of the Army and Navy, Vol. 1. New York, New York: Self-published, 1905. 7. Gift, Aaron Kern. History of the Gift, Kern and Royer Families. Beaver Springs, Pennsylvania: Herad Printing and Publishing Company, 1827. 8. Johnson, Rossiter, ed. Twentieth Century Biographical Dictionary of Notable Americans, Vol. I-X. Boston, Massachusetts: The Biographical Society, 1904. 10. Pennsylvania Day: Great Crowds & Miserable Weather, in The Star and Sentinel. Gettysburg, Pennsylvania: 17 September 1889. 11. Pennsylvania State Senate Website. Historical Biographies: John Peter Shindel Gobin (1834-1910), drawn from Rodearmel, 34.; Twentieth Century Pennsylvania State Government in Picture and Story, 1901-1902, comp. William Rodearmel (Harrisburg: Harrisburg Publishing Co., 1901), xii; Inquirer (Philadelphia), May 2, 1910; Portraits and Biographies of the Members of the Legislature of Pennsylvania and Heads of Departments, session of 1895, comp. William McAtee (Harrisburg: The Roshon Portrait Co., 1895). 12. Quivering Foreboding at Hazelton: Troops Are Sent to Suppress Rampant Strikers at Eckley, in San Francisco Call. San Francisco, Pennsylvania: 14 September 1897. 14. Returns From U.S. Military Posts, U.S. Adjutant General’s Office (J. P. S. Gobin, Camp Meade, November 1898, Record Group 94, Microfilm M617). Washington, D.C.: U.S. National Archives and Records Administration. 15. Schmidt, Lewis. A Civil War History of the 47th Regiment of Pennsylvania Veteran Volunteers. Allentown, Pennsylvania: Self-Published, 1989. 16. U.S. Census (1850, 1860, 1870, 1880, 1900, 1910). Washington, D.C.: U.S. National Archives and Records Administration. 17. U.S. Civil War Pension Index (Application No. : 1319872, Certificate No. : 1086025, filed from Pennsylvania 5 July 1904; Application No. : 942590, Certificate No. : 718646, filed from Pennsylvania 21 May 1910 by widow, Annie M. Gobin). Washington, D.C.: U.S. National Archives and Records Administration.